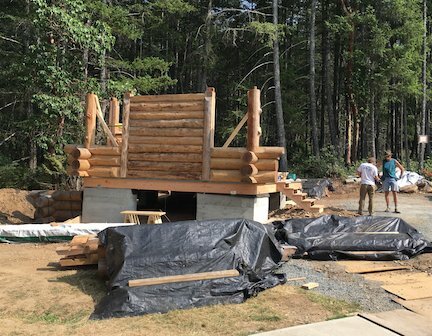 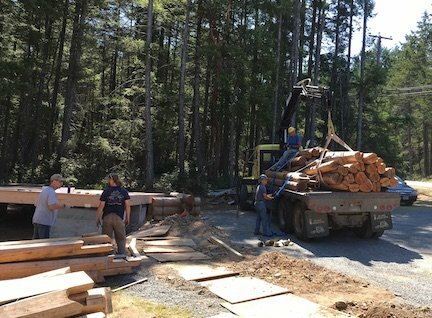 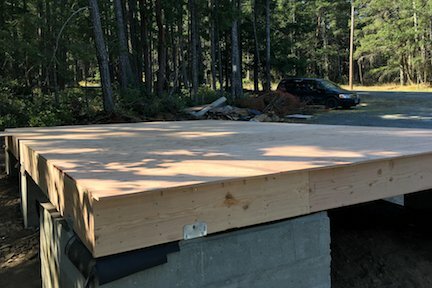 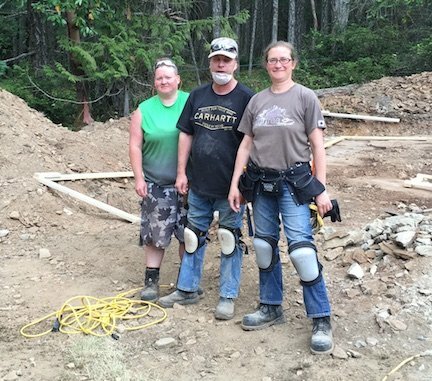 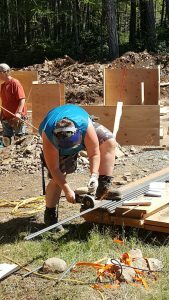 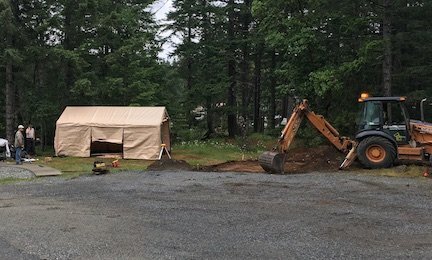 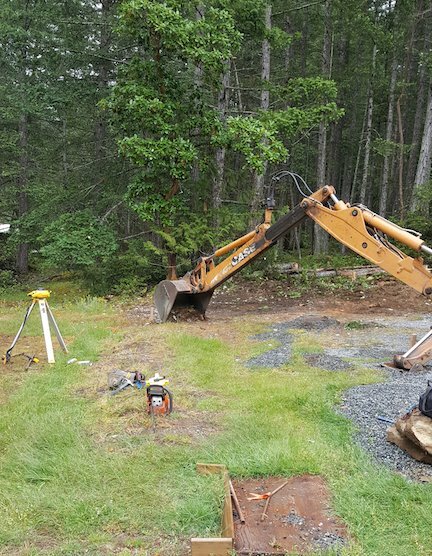 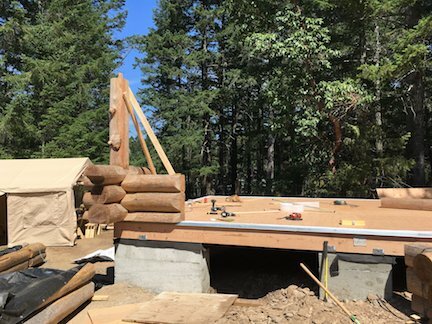 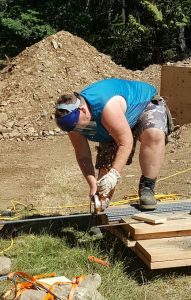 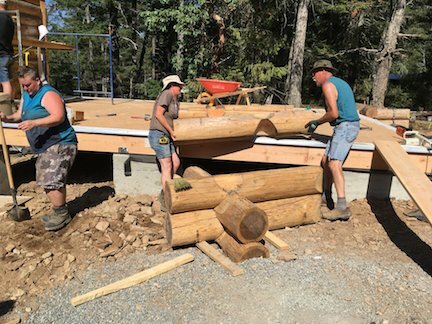 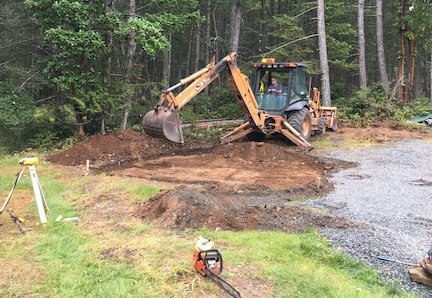 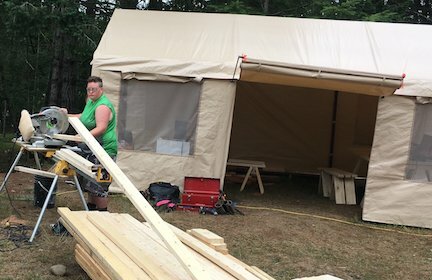 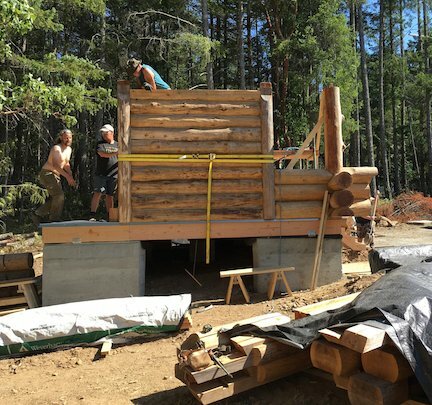 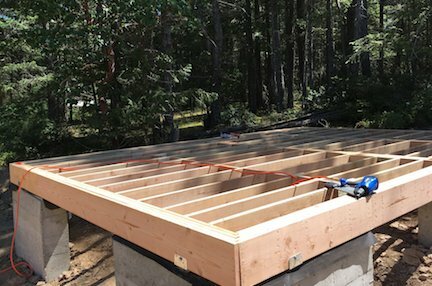 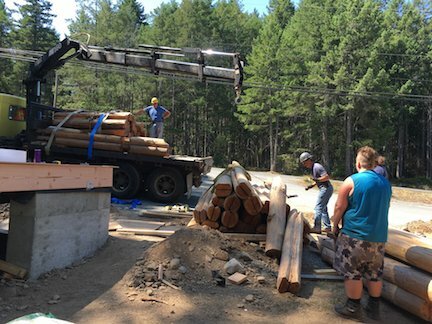 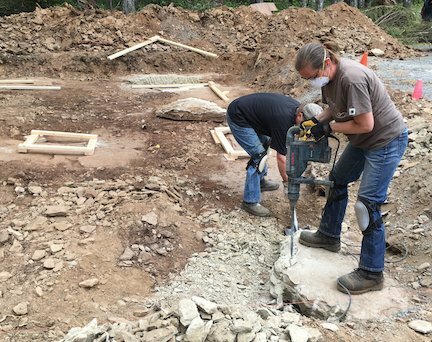 In June 2018, the new building crew started the Jack Pine Cabin construction project. 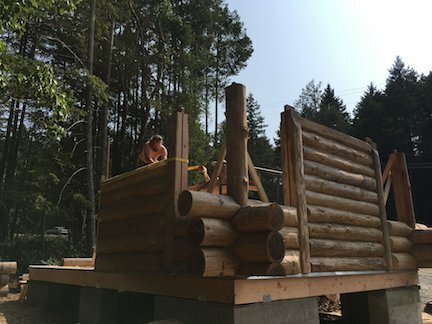 Read the story of the project here. 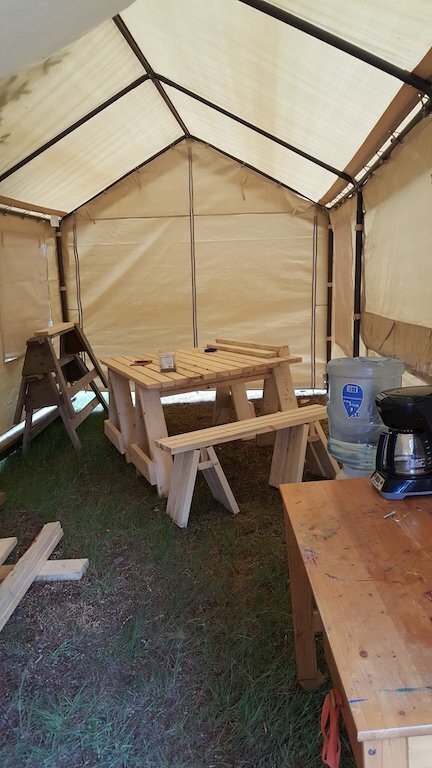 The Clubhouse—with one solidly built table. 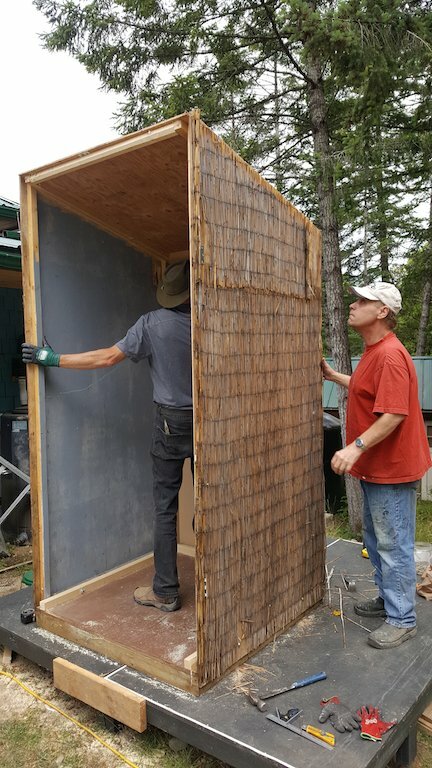 Fixing the GAC ticket booth. 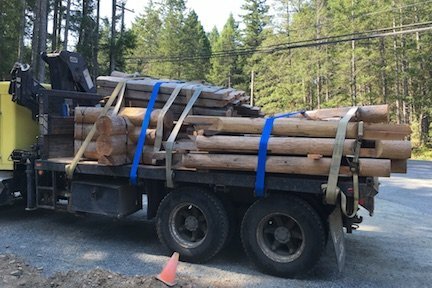 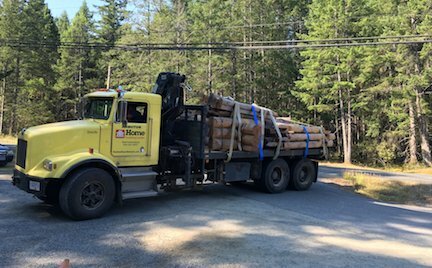 Thanks to Arbutus for the hauling the logs. 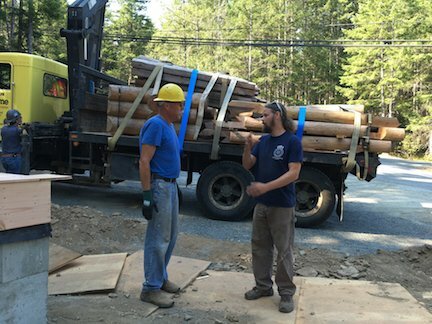 The Consultation—Project Supervisor Tim Van Wieren with Brad Crocker from the Island School of Building Arts.